After spending what seems like much of the summer baking, it is time for me to cut back and make some healthier choices! When it is colder, I find salads less attractive and I’d much rather have a warming bowl of stew, casserole or curry instead. 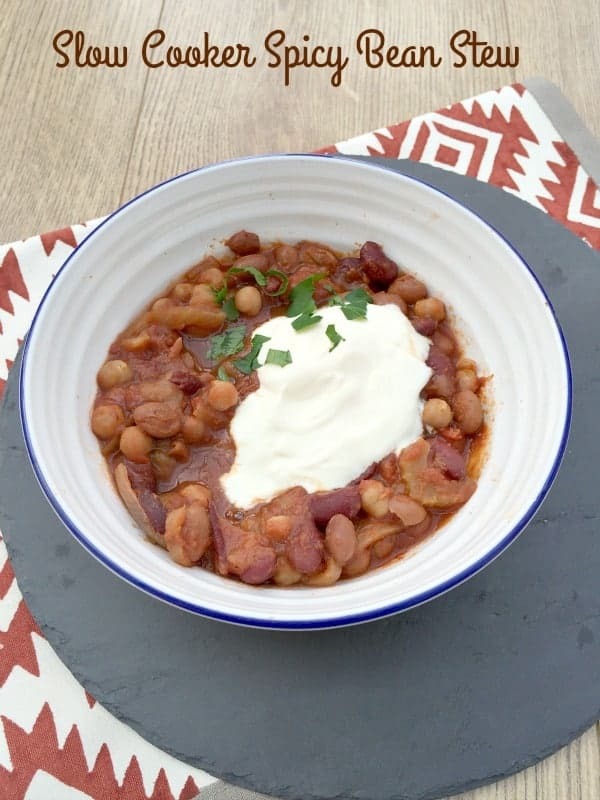 This slow cooker spicy bean stew ticks both boxes and is great to freeze for quick mid-week dinners. I also like to take it in my lunchbox on working days, as I know I will get my five-a-day that way. 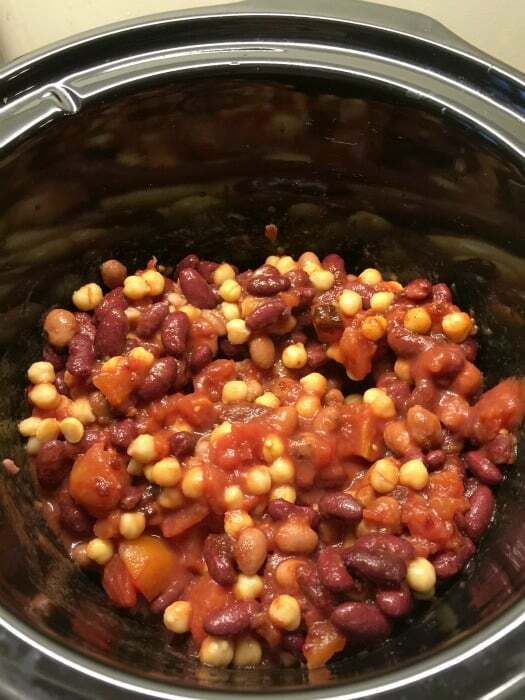 My slow cooker spicy bean stew is packed with beans and vegetables and I add whatever vegetables I have in the fridge to bulk it out further. The chipotle paste gives this simple stew a spicy kick. I serve it with soured cream and fresh parsley, and a flatbread on the side. It also goes really well with rice for a larger meal. 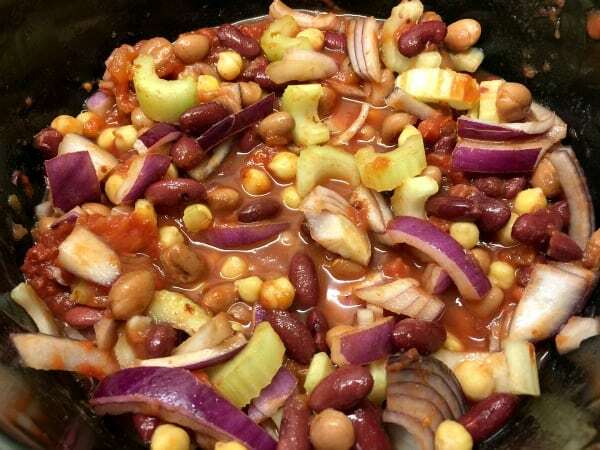 I didn’t give this stew with my children this time as I thought it would be too spicy for them; if I make it for us all to share I would reduce the chipotle paste and add a tin of sweetcorn. Serve with a dollop of soured cream (or alternative for a vegan diet) and fresh parsley, with a flatbread or tortilla and some boiled rice for a larger meal. Most of the ingredients in this bean stew are zero smart points on WeightWatchers Freestyle so this is a great light option to make when you are running low on smart points! I’m sending this to the Slow Cooked Challenge, the challenge Janice from Farmersgirl Kitchen and I now co-host. This month the theme is meat-free. 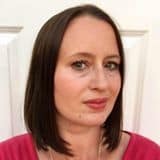 I’m also sending this to Extra Veg from Fuss Free Flavours (hosting this month) and Utterly Scrummy Food for Families as I pack in whatever vegetables I need to use up. 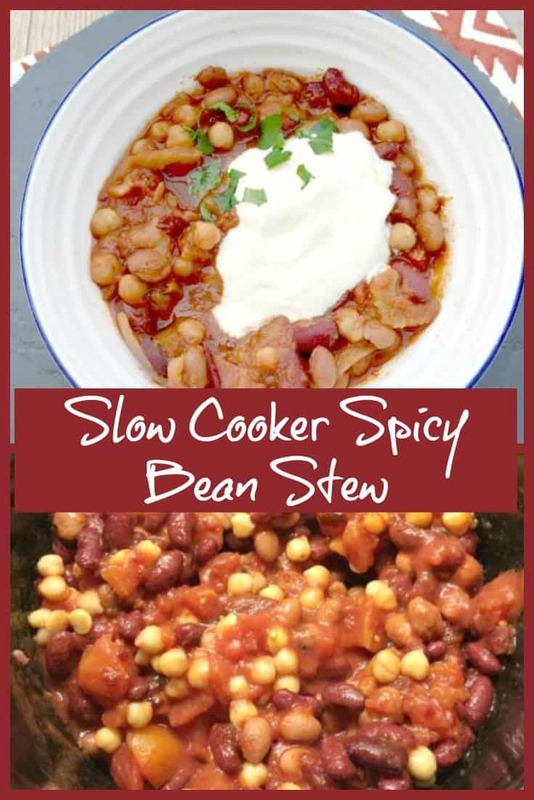 As I cooked this in my slow cooker which is a cheap method of cooking, and it uses inexpensive store cupboard ingredients (and hurrah I used up three tins of beans!) I am sending this over to Credit Crunch Munch too. 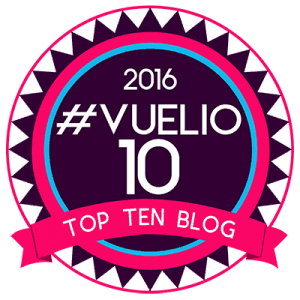 This month Elizabeth’s Kitchen Diary is hosting for Fuss Free Flavours and Fab Food 4 All. I’m also sending this to Jac from Tinned Tomatoes and her Meat Free Monday linky. This is vegan if you omit the sour cream on serving. Mix all the ingredients together in the slow cooker pot. Cook on high for 4-5 hrs or low for 8 hours. Mmmm proper winter comfort food this! Loving the sound of this recipe! Thank you for sharing with Credit Crunch Munch! How delicious and so very quick and easy to prepare. I love chuck it all in and let it cook dishes. What could be better than coming home to a bowl of this comforting and delicious stew on a cold autumn evening?! 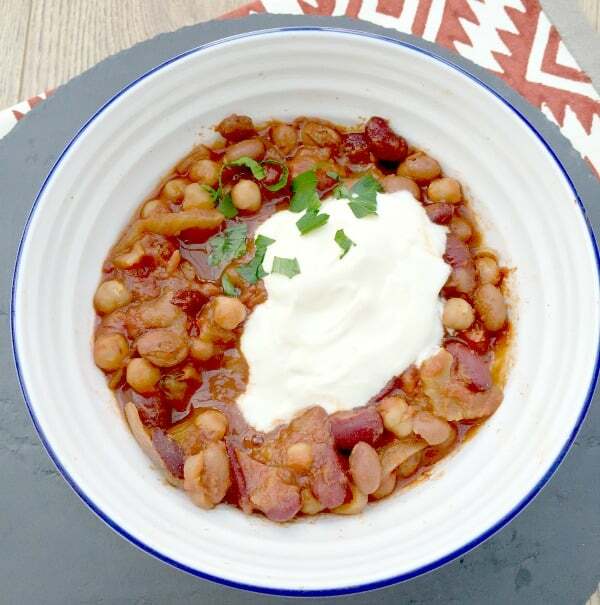 Delicious, thrifty and easy to prepare, perfect week night family fare. thanks Michelle, those are my main goals, easy to make and not too fancy! Oooooooooh yum and I would really love a big bowl of this for breakfast right now. That looks so good. Love a stew, it’s definitely the season for them now that it is starting to get cooler and much darker!